Today’s finance leaders are expected to be key players in a company’s technology strategy - evaluating, acquiring, and implementing new technologies that enable growth and support company goals. Technology gives the finance department tools they have never had before but the adoption process can be daunting. Zuora and Connor Group have supported CFO’s, CAOs, and Controllers through over 100 revenue transformation projects. 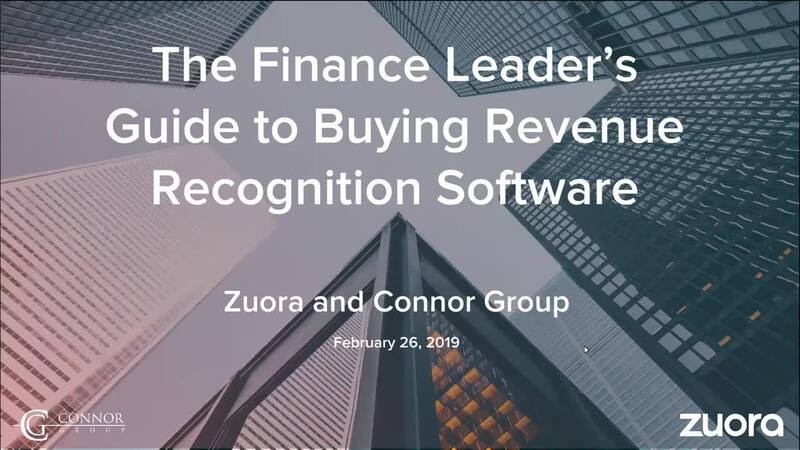 On Feb. 26 we shared leading practices for evaluating and selecting the right revenue recognition automation solution for your business.